What is this esoteric thing called a brand? Do you have to have an MBA to understand it? Do you have to have deep pockets to really leverage it? Wines & Vines suggests that the 2013 wine tourism season is going to be exceptional. Read the complete article here. Discover the Luxury of Cork Fashion, business & wine accessories for men and women, all made from soft, velvety cork fabric! Popular TR merchandise. Always gets a wow! We dedicate many lessons during our WISE Academy certification course to helping winery DTC team members tell a better brand story—to have their brands do more of the heavy lifting in creating memorable guest experiences and in selling more wine. But “teaching” how to leverage our brands can get a bit…fuzzy. The good news is we are all consumers. So the best way to teach what makes a good brand (and how to leverage it) is to take off your winery hat and put on your consumer hat. Here is a simple way to think about it: We use a product. We buy a brand. But we remember an experience. It is the emotional connection that makes brands powerful, that makes brands stick. For really strong brands the company actually becomes the category of the product or service it sells. •	They deliver a promise that we can rely on. Use FedEx when you absolutely need it there overnight. •	They have a personality we identify with. Think of the battles in your own social circle with Apple vs. PC users. Think of the difference between a Mercedes buyer vs. a VW Bug buyer. This is not about good brands vs. bad brands. This is just about different, personal, emotional choices. •	They deliver an emotional experience we will remember. Receiving a Tiffany’s blue box and white satin ribbon says so much more than any other type of “bling” gift or wrapping. Your wine is the product you sell, while your brand is the gut feeling people have about your company. It’s not just your logo, but also your tours and tastings, your website, your phone manners. Every consumer touch point should make your brand come to life. In the end, the brand experience is not what you say it is. It is what they (your customers) say it is. Note: This is the first WISE Bite in three-part series about Better Branding through Consumer Direct. •	The direct-to-consumer wine business continues to thrive. 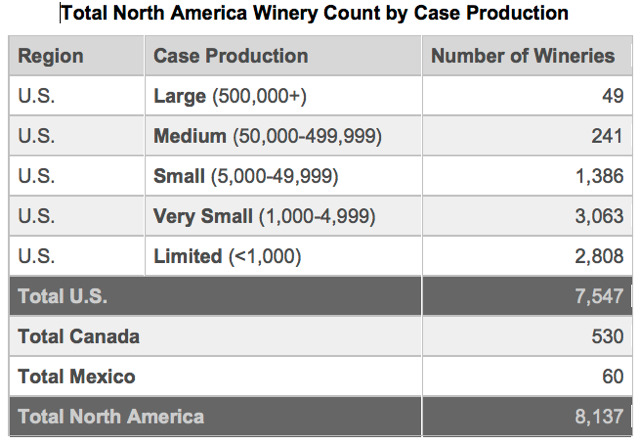 For the latest statistics, go see Wines & Vines’ Wine Industry Metrics. •	Nutrition Labels coming to wine? For the present time it is voluntary, but as The Wine Curmudgeon writes, “voluntary is better than nothing.” Read his thoughts here. •	Calendar of Events: Lots of wine-related events are scheduled all over the world. Read about the ones we could find here. Wine-Pairing Ideas: Food and wine pairing enhances the experience of the taster and can be used as a great selling tool. Great Wine News magazine has an article about proven food and wine pairings. Enough Room for a Special Event: A couple of weekends ago I went to the Alexander Valley Festival in Sonoma County. The event was very well attended, and visitors paid $45 for a pass to a dozen wineries with food and wine provided. At one of the wineries, patrons were crowded two to three deep in front of a small tasting room bar, and just next to it was an empty room. I believe that when customers feel welcome and special (read: unrushed and not competing for position at the bar) they appreciate the wine more and ultimately will buy more. 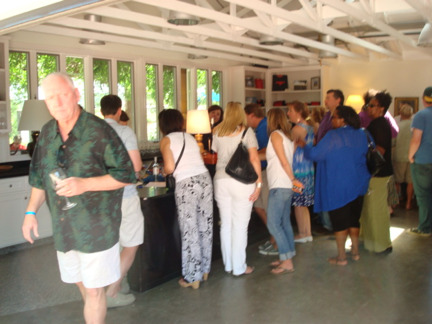 It was a hot and crowded day at one winery in Alexander Valley. Tasting Patio. Do you have one? During the same Alexander Valley event I stopped by Stuhlmuller Vineyards, where I really liked not only their wines but also the patio where guests could sit down and enjoy the scenery, the food and the wines. It was a memorable time at a great winery. 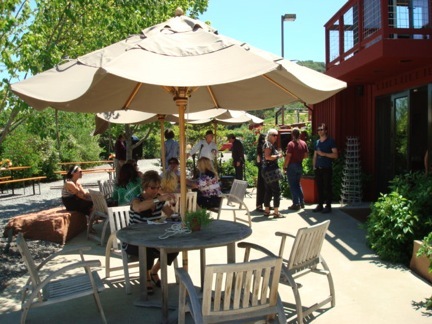 Stuhlmuller Vineyards’ friendly patio has easy access to and from the tasting room. 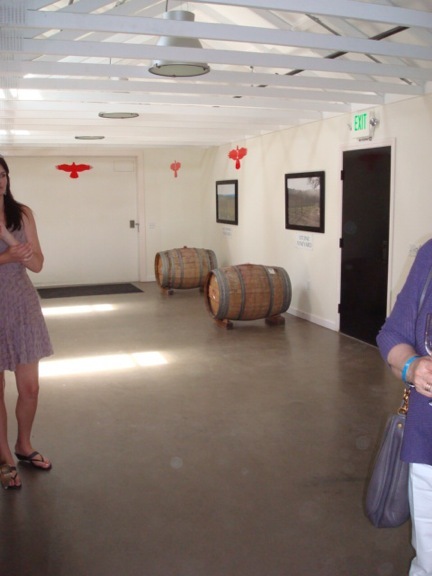 Tasting Room Market: What’s New to Sell…. •	Preserving partially full wine bottles for the next day has always been a challenge—and more often than not, the wine is spoiled by the time the tasting room opens the next day at 11 a.m. VinEdge seems to have a solution to this problem. Visit their website for details. •	Sparkling wines have a great advantage over still wines. The quality of the vintage is not as critical because you can adjust many flavor components through the “dosage” (click here for sparkling winemaking information). The “sparkling” program has been adopted by many small wineries because tasting room visitors always like a glass of “bubbly,” and club members love to have a special bottle from their “personal” winery. Since the equipment can be quite expensive and hard to justify for 200-300 cases, custom-crush facilities like Rack & Riddle can make the finished product from your winery’s still wine. • Next month we will have a more detailed write-up about private label olive oil for wineries.